As we reported last month Slung Low, Holbeck’s own threate, are to leave their base under the railway viaduct and move into The Holbeck (formerly the Holbeck Working Men’s Club). Slung Low christened their home under the arches the Holbeck Underground Ballroom (HUB). It’s seen many travelling shows over the years, hosted choirs, How To… festivals and more recently courses at the Cultural College. 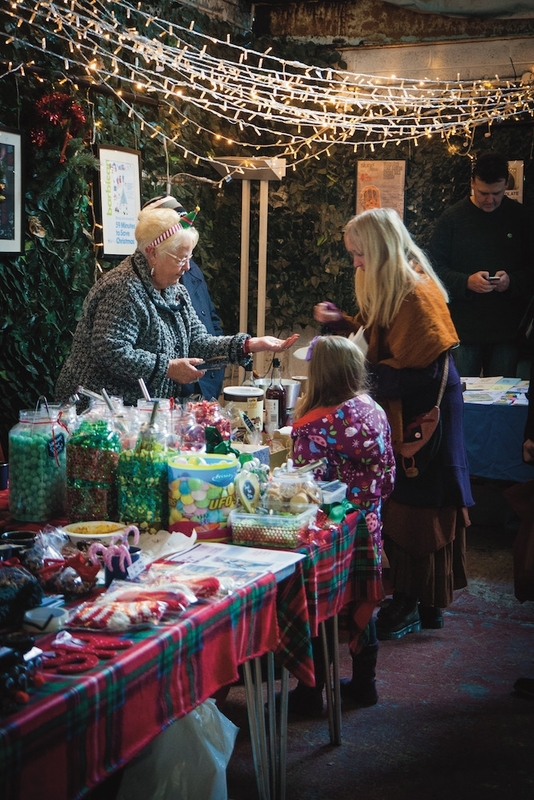 A highlight of the calendar has been the Christmas Fayre, so it is fitting that the last ever event at the HUB will be this year’s Fayre, which takes place on Saturday 8 December from 12pm. 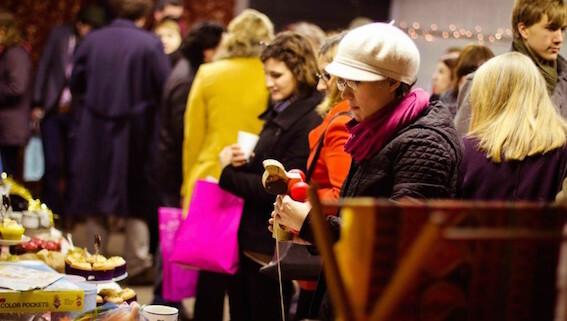 There will be stalls serving food, drinks, jewellery and a multitude of crafty items and vintage goods, it is perfect for those looking to get ahead with the Christmas shopping! On the food front there’s a roast hog, delicious vegan food, mulled wine, hot chocolate and all the usual cakes and treats available. 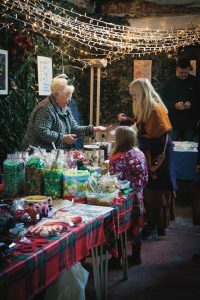 There will also be live music, a chance to sing your favourite Christmas carols, festive story-telling and a whole load of yuletide activities. This year we have an extra special treat to round off the festive celebrations! 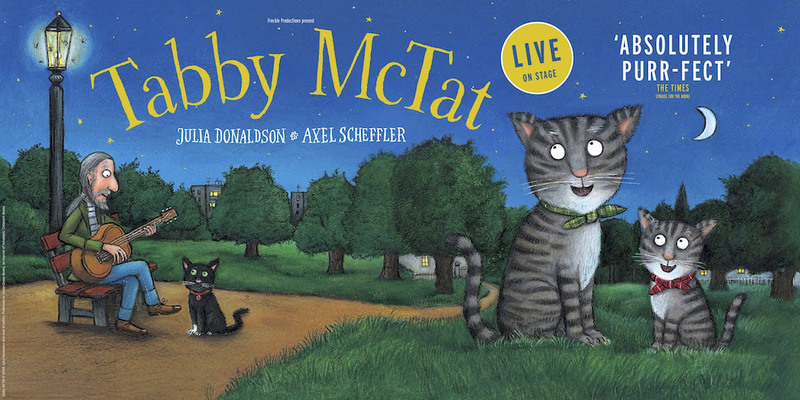 At 3.30pm Freckle Productions present Tabby McTat from the book by Julia Donaldson and Axel Scheffler over at The Holbeck. Interwoven with original songs, Tabby McTat is the heart-warming tale of friendship and loyalty for children and families of all ages. The company made and rehearsed the show in The Holbeck back in September and they return with a special one-off performance. You pay what you decide and all funds will be donated to the Leeds-based homeless charity Simon on the Streets. Go to slunglow.org to find out how to reserve a ticket.